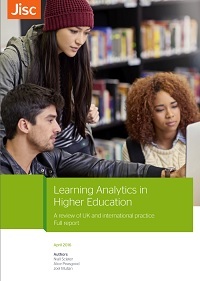 How do higher and further education institutions in the UK best share their expertise in learning analytics? 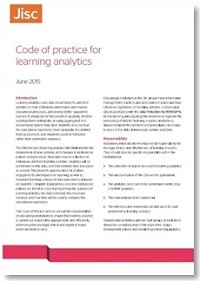 Would a jointly developed code of practice for learning analytics help deal with the legal and ethical issues? 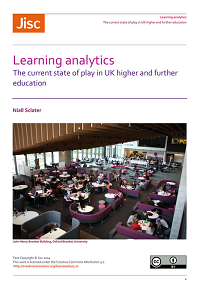 How can Jisc facilitate the development of tools and dashboards to help institutions develop their analytics capabilities to enhance student success? These were some of the questions being addressed by 31 participants last week from UK universities, colleges and organisations including SCONUL, RUGIT, UCISA and the NUS at a workshop in Jisc’s offices in London. Increasing amounts of data are being collected on students and their learning – but it’s clear that our understanding of how best to interpret that data and make use of it is still at an early stage. 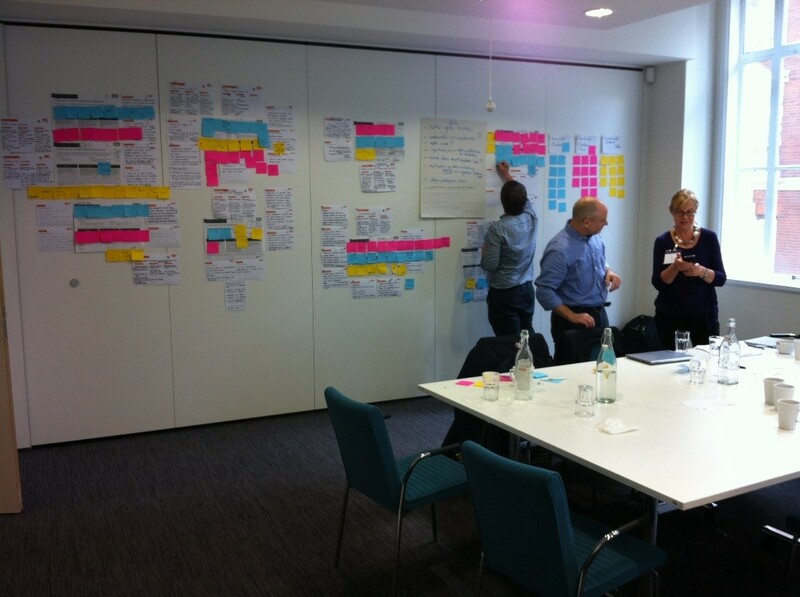 Back in April the Co-design Steering Group developed the idea of an effective learning analytics challenge. Then over the summer we gathered 21 ideas from the community to address the challenge of learning analytics. Voting from more than 100 people narrowed the list down to nine ideas and accompanying service scenarios that we discussed at the workshop. One theme that emerged strongly from the discussions was a need to involve students in developing learning analytics products and services. 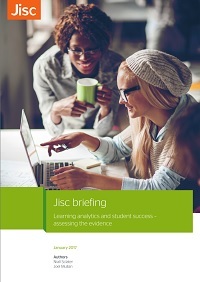 An app for students to monitor their own learning was seen as a critical requirement which Jisc could help provide. While improving retention was regarded as important, the main long term goals would be to support learning attainment, assist decision making and pathway choice, and improve employability. One of the most popular ideas was a “freemium” solution for further and higher education institutions, allowing them to gain experience and eventually progress to a more advanced toolset. It would be based on an existing solution from an institution, vendor or open initiative that could be ready to provide a working product in early 2015. The product would require the development of an open standard for analytics and an API enabling other compatible basic analytics solutions in the future. Alongside the basic solution would be a student app which works with any learning analytics solution provider using a specified set of data inputs. Students would be involved in scoping and designing their requirements for the app. Finally we felt there was a need for a tool for tracking and recording interventions which take place as a result of analytics. This will inform the development of a learning analytics cookbook (see below) which will suggest appropriate ways that staff and systems can intervene to enhance student success. A huge priority for institutions is how to deal with concerns around data protection and privacy both from a legal and ethical perspective. 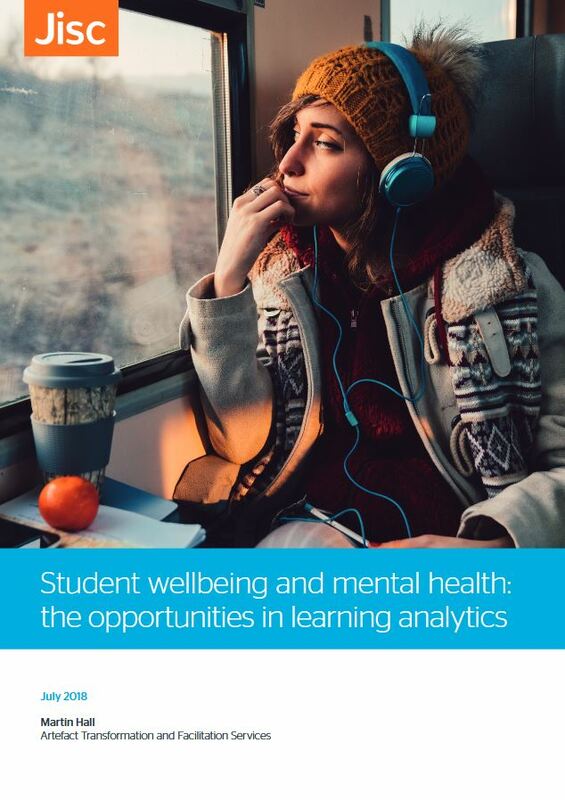 The potential benefits of learning analytics are well recognised but there are also possibilities for misuse. 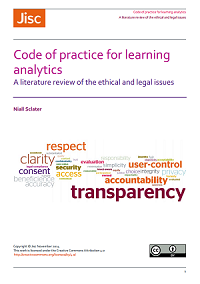 A guide to learning analytics practice is needed and will be informed by a comparative review of existing codes of practice in this and related areas. Jisc will then develop the code of practice in partnership with the NUS and others. A great deal of enthusiasm for the possibilities of learning analytics was expressed at the workshop – and we benefitted from the considerable experience that has already been gained by many of the participants. The priorities agreed will now be developed into a project plan that can be taken forward by Jisc over the next two years. Full details will be posted to https://analytics.jiscinvolve.org/wp/. Educational institutions, vendors and other potential partners will be invited to comment and express interest in participating. Meanwhile we’ll be looking for some expert critical friends to advise us on each of the projects as they progress. Posted by Niall Sclater on September 16, 2014 in Co-design. Hi Niall – i happened to discover your site through some plain old Google search but i must say that the perspective offered here is interesting. In the U.S. the IMS standard – Caliper and its Sensor API are helping this cause to some extent through a common framework that most LMS’ can comply with. The biggest concern as i have experienced is always the integration of disparate data sources. Before evolving a strategy for analytics, the key would be to provide a somewhat standardized interpretation and likewise transformation of the data sources. Once that is done, the research and education part usually always falls in place. We are a young LMS and Learning Analytics company based out of the U.S. and we are actively working with our clients to push for integration at scale through ‘rapid marts’ that facilitate the integration of data into a 360 degree view of the student. 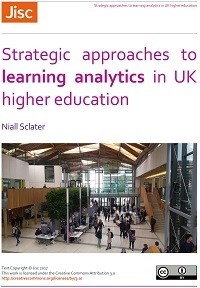 It would be interesting to work with some of the universities in the UK and explore the challenges they have so we can then potentially work with them on this journey for learning analytics.